Made up of an insulating Mylar material designed by NASA which retains 90% of your body heat, watertight and wind resistant tube tent/shelter is an excellent thermal barrier against hypothermia and shock. It serves a purpose of a sleeping bag, signaling device, water collector and much more, this compact and lightweight tube fold down to a small flat size kit which can be easily stowed in your gear. Grizzly Gear by Camerons provides all the necessary insulated thermal gear to retain almost up to 90% of body heat. 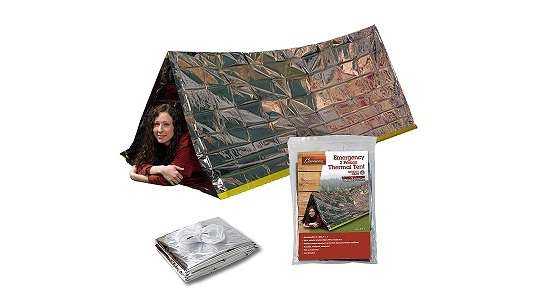 In case of emergency, Camerons have a lot of weatherproof survival products suitable for emergency shelters, adventures, camping and other outdoor or survival activities.